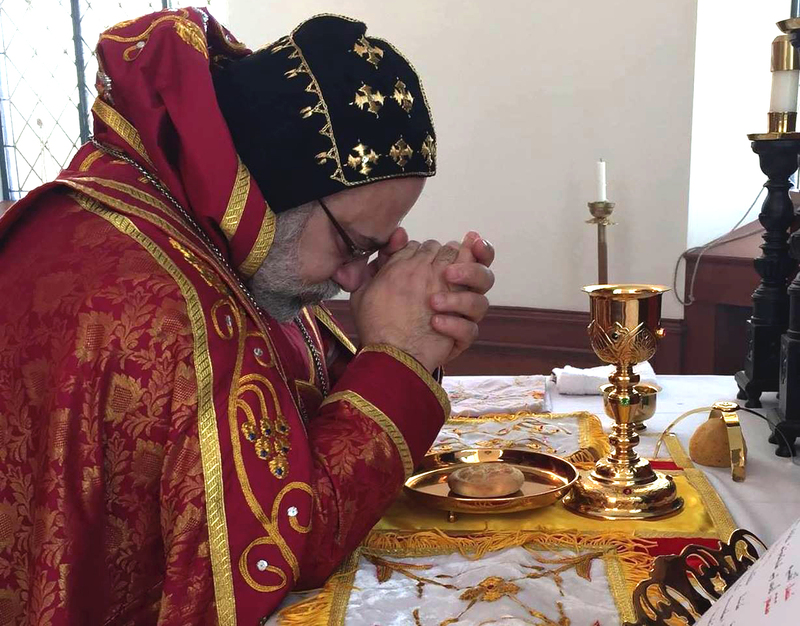 On January 19, 2015, His Holiness Patriarch Moran Mor Ignatius Aphrem II visited the Syriac Catholic Patriarch His Beatitude Mor Ignatius Youssef III Younan at the Syriac Catholic Patriarchate in Beirut. His Holiness was accompanied by Their Eminences Mor Theophilus George Saliba, Archbishop of Mount Lebanon and Tripoli, and Mor Dionysius Jean Kawak, Patriarchal Assistant. 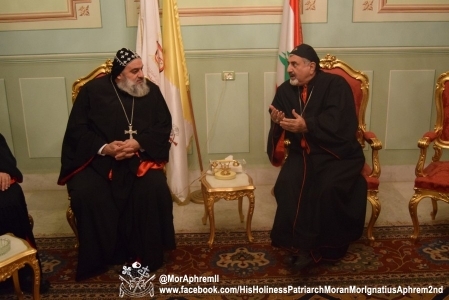 His Beatitude Patriarch Younan welcomed His Holiness Patriarch Mor Ignatius Aphrem II. The two patriarchs discussed matters of importance for both churches. They also considered the work of the patriarchal committees from both churches that work on the commemoration of the Centennial of the Syriac Genocide Sayfo. They encouraged them to cooperate together on the commemoration of this cause common to both churches.